Exotic things attract us like a magnet. There is something fascinating, reminiscent of forgotten fairy tales and distant, unknown worlds. White, dark brown, and even blue-black lipstick can rightfully be considered exotic. Women with such makeup are rare. But there are always people who love everything exotic, such as punks, goths, emos... only some of the nuances change, but in general, everything remains the same. Maybe sooner or later you will have a desire to try something like that by purchasing exotic lipstick of some extreme color. A color’s fashion is changeable, but the essence remains the same—to express the rebellious spirit, to challenge others. What about terracotta, cyclamen, and coral colors? These words conceal shades that are usual for us, but still they include a lot of exotic elements! They sound like music, delightful to the ears, and cast an idea about something very beautiful. If we talk about the ingredients, almost half of makeup products for the lips can be called exotic. After all, they contain rare ingredients, all kinds of oils, waxes, and extracts of tropical plants, which are impossible to find in our latitudes. Due to its composition, exotic lipstick cares for lips, leaving them soft and smooth. Exotic lipsticks are a little more expensive than conventional lipsticks. What about the lipstick that changes color depending on the temperature of the body? Just imagine, your lips will be one color one moment, and another color the next. But the temperature of the body depends on our emotions and feelings. So, if you are angry or happy, know that the color of your lipstick will change! Sometimes you see a lipstick of unusual shape or with a complex exotic aroma. Modern manufacturers offer a huge selection of different products for every taste and budget. Depending on what you choose, one can tell a lot about your habits, hobbies, and lifestyle. As a rule, exotic lipstick is a choice of determined young ladies or romantically minded girls. But everyone can try on an unusual image. Keep this in mind and use exotic lipstick with pleasure! Exotic lipstick, what is it like? There are several answers to this question. Some people would say that Exotic lipstick means extraordinary colors ad tones, while others think that it has other features. Today lots of different colors are available. 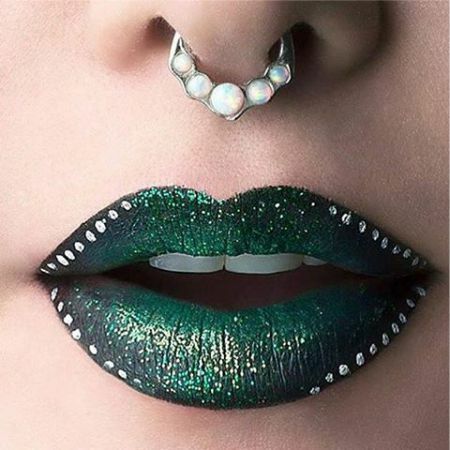 They include the most unusual tones such as green, white, black or even yellow. However it doesn’t mean that it is exotic lipstick. Popular brand MAC has launched a very unusual collection due to the fact that 2013 is the year of Snake. It was called Snake Collection. The main feature of those lipsticks which were included in this collection was unique and outstanding design. Every rod has a trail of a crawling snake. It looks really great. The lipstick itself is rather stable. It doesn’t flow and keeps color for a long period of time. The main tones include plum, pink, peach and red colors. 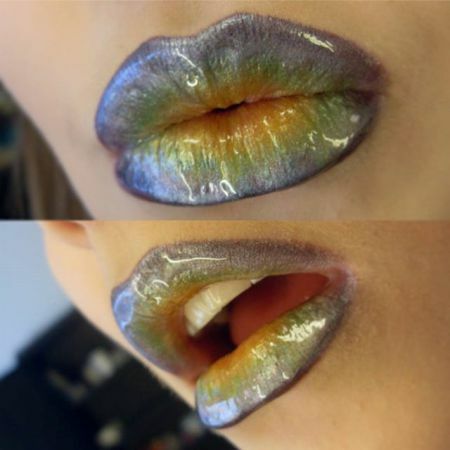 Mood Lipstick (Colour Changing) is another great example of exotic lipstick. It will be the best bet for a young lady who wants to have the most breathtaking look at the upcoming party or ball. The main idea of this lipstick is the fact that it is able to change its color. This is all due to temperature changes as well as increased level of Ph. In other words your lips can have one color while you are outside where it is sold and windy. But as soon as you are in and have a drink or two, your lips start changing their color. Variety of tones is rather impressive. You can choose among violet, yellow, red and green. Another great feature is the fact that this lipstick can also change its tone in accordance to your mood. In other words it will follow your temper while you are sad or angry. You will find the word “exotic” in the majority of collections from the most popular brands. For example, Exotic Jewels is an outstanding collection which was brought to us by Victoria’s Secret. Here you will find different variants of lipstick including creamy colors in addition to sweet chocolate aroma. Exotic Orchid is another great product with multidimensional effect. What is unusual exotic lipstick? Shocking Makeup When you need an exotic lipstick? Check your purses – is their exotic lipstick? We can hardly hesitate about this fact. Despite the fact that every exotic lipstick is unique, its components are based on the same melting waxy components as well as different oils, fats color pigments and perfumes. Beeswax is one of the most important components. At the same time more unique and rare waxes can be also used. They include carnauba wax and candelilla wax. The first one is produced by the foliage of carnauba tree. It grows in Brazil and is considered to be a palm tree. When it is very hot, this tree produces drops of melting substance which cover its foliage with special protection layer. It prevents a tree from losing a lot of moisture. The same thing is with lipstick. It is very stable and does not flow. Candelilla tree grows in Mexico and in Texas. It likes deserts and high temperatures. The lower part of the tree is totally covered with wax. It protects it from sunlight and heat. That is why this lipstick is used to keep color of lips for a long period of time in spite of the most severe weather conditions. At the same time it provides your lips with a high level of protection. If you are looking for a lipstick that will not only make your lips as beautiful as possible but also take care of your skin, you need to buy cosmetic with lots of vitamins, oils and extracts. Today selection of such lipsticks is extremely high. You will not face any difficulties in finding the most appropriate variant. In other words if a lipstick contains several exotic components it can be easily called exotic cosmetics. Like the article «Exotic Lipstick»? Share it with friends!